René Carayol is a renowned business and media personality. He is one of the UK's leading business gurus specialising in leadership and culture, drawing from his own unique experiences at Marks & Spencer, Pepsi, IPC Media and the Inland Revenue. René is a regular broadcaster for the BBC and has presented the influential "Pay Off Your Mortgage In 2 Years" series, and the critically acclaimed "Mind Of A Millionaire" and "Man From The Met" documentaries. As an author he has produced three books - Corporate Voodoo in 2001 (now in its third edition), the sequel, My Voodoo in 2003 and Spike - What are you Great at? (2018). René is a regular broadsheet columnist, most notably for The Guardian. He is also a frequent voice on Radio 5 Live and a regular expert commentator on Sky News and BBC Breakfast. He has provided leadership support to the likes of the Prime Minister's Strategy Unit, the Home Office and McKinsey and Co. 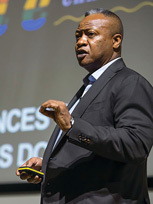 He is also a Visiting Professor at Cass Business School. 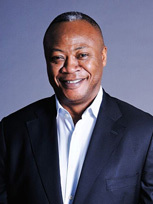 René was awarded an MBE in 2004 for outstanding service to the business community. He has provided leadership support to the British Prime Minister's Delivery Unit, and is now a Visiting Professor at Cass Business School. René facilitates and hosts corporate conferences and provides board level mentoring and master classes. His messages are practical, real life experiences presented with electrifying effect. He both shakes up and inspires his audiences, showing them not only what lies within their grasp but when to grasp the nettle.